A few years ago a friend told me about a Facebook group where people were talking about meringues with the goo from canned chickpeas. Naturally, I asked her to add me to the group immediately. First of all, what do we call it? Fortunately, the official name is aquafaba, not chickpea goop; aqua: water, faba: beans. Aquafaba can be made from all beans and many legumes. It’s basically just the liquid that remains after the beans or legumes have been cooked. So if you are boiling dried beans, it is the liquid left in the pot when they are done. Or if you are buying a can of beans, it’s the liquid in the can. Aquafaba is basically starch, protein,and some other plant stuff that combines to make an incredibly cheap and effective vegan egg replacer. It can be used straight up by adding three tablespoons of the liquid for one egg to most recipes. As I’ve discussed in previous articles, every baked good has an egg replacement that works best for its particular type. For example, I’ve found that aquafaba works great in cookies and bread, but it isn’t my favorite in brownies. It can also be used to make macarons, pancakes, French toast, mousse and pretty much anything else you thought might be hard to make vegan. If you’ve never experienced meringue before, it can come in a couple shapes and sizes, but it’s essentially a whipped egg white (or aquafaba) with sugar and vanilla extract. It can be cooked lightly, like on top of a pie, or dried out completely, like in the case of the mushroom cookie. 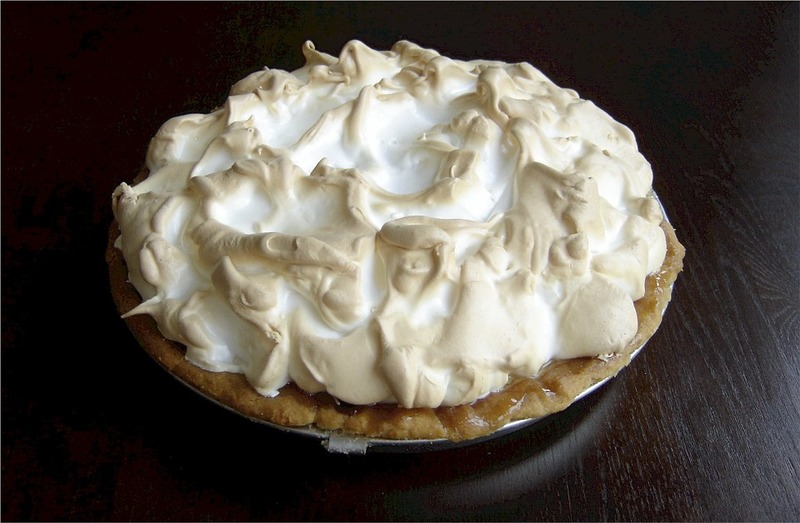 My favorite way to eat aquafaba is as a whipped cream/marshmallow fluff topping for cakes and pies, or as an ice cream substitute. Although you can make your own, it is certainly easier to buy it in a can, so thatís what I usually do. Another aquafaba perk is that it forces me to eat a can of chickpeas. You can use the liquid from any can of beans, but the aquafaba whip will be the color of the liquid; so black bean aquafaba whip, for example, might not be as appetizing as chickpea or even kidney bean. The first step is to drain the liquid from the can into a mixing bowl. Next you are going to whip it! It is possible to do this with a whisk, but you’d have to have some very strong arms to pull that off. A stand mixer or an electric beater will both work fine. Whip the aquafaba until it has soft peaks. Some troubleshooting: your bowl should be room temperature or colder and should be free of any oil or oily residue. Oil deflates aquafaba, so make sure it has no part in the process. After you are done marveling at how cool it is that the chickpea goo is fluffy, add one teaspoon of vanilla extract and gradually add about three-fourths of a cup of granulated sugar. Keep whipping until you have stiff peaks. The amount of sugar and vanilla you add is ultimately up to you– taste the whip and add more (or less) until it tastes good to you. You can also use extracts other than vanilla just make sure they have no oil in them. And there you have it! You can put this fluff on pretty much anything; fruit, cake, pie, or even freeze it and have an awesome vegan cool whip. For more troubleshooting and recipe inspiration, add yourself to the Facebook group called Aquafaba (Vegan Meringue – Hits and Misses).